Latin Lingo There are 4 products. 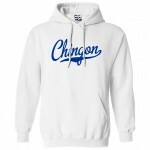 A great gift for the Chingon in your family or circle of awesome amigos and amigas. Similar to a sports or baseball jersey in style, but an old skool hoodie in comfort. Optionally personalize the back with your own Name and/or Number. A great gift for the Cochino in your family or circle of nastiness. Similar to a sports or baseball jersey in style, but an old skool hoodie in comfort. Optionally personalize the back with your own Name and/or Number. A great gift for the Cochina in your family or circle of nastiness. Similar to a sports or baseball jersey in style, but an old skool hoodie in comfort. Optionally personalize the back with your own Name and/or Number. 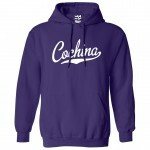 A great gift for the Chicano in your family or circle of friends. Similar to a sports or baseball jersey in style, but an old skool hoodie in comfort. Optionally personalize the back with your own Name and/or Number.